The Bubblelush: Cloth Diaper Week: Enter The Giveaway! 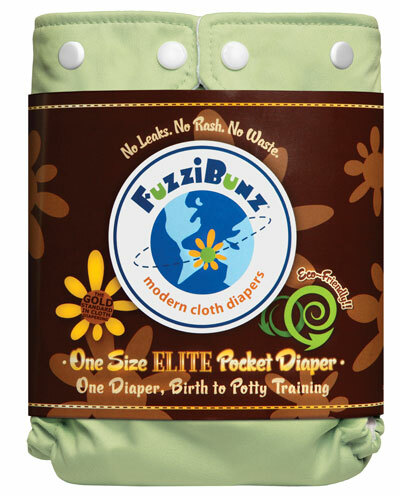 Use the Rafflecopter entry form below to enter to win a FuzziBunz one size Elite cloth diaper! Thanks to Kelly Wels and the team at Changing Diapers for sponsoring this giveaway. One green thing our family does aside from cloth diapering is composting! Thanks for the giveaway and all the time you put into your blog and videos! Forgot to answer the question, Free time, I would read or have a nap with 15 extra minutes. What is one GREEN thing your family does? We are making the switch to green household cleaners and are researching cosmetic products. And of course, when we have a little one, we will be cloth diapering! Already have a growing stash! We cloth diaper our daughter and recycle. I am just starting to try out cloth diapering, It's only been 2 days but so far I am loving it! I live in a small town and just found out a store here is doing the cloth diaper change on the 21st. I never would of checked if you had not posted it. Thank you! some green things our family does is composting, recycling (extensively!) and buy organic products! We're expecting our daughter next month and plan on cloth diapering. So far all 33 diapers in my cloth diaper stash are used, but given to me by friends. I would love to try out a brand new fuzzibunz elite diaper! We are big on recycling and composting! yeah! Our family recycles =) we are also starting very soon to cloth diaper which I'm very excited about!!!! We cloth diaper and recycle as much as we can. We recycle just about everything our recycling center accepts. my family recycles, cloth diapers, uses cloth wipes not only for baby but for family, we turn off lights when we dont need them and so much MORE! We use cloth diapers & wipes, cloth napkins instead of paper, and rags instead of paper towels. We cloth diaper and cloth wipe. We also use cloth napkins. I hang dry most of our laundry. We recycle plastic and aluminum, not just for recycling purposes, but for crafts. We also make our own cleaners and such. we cloth diaper soon-to-be two babies and recently started recycling. We've been cloth diapering since Ian fit into his fuzzibunz. Cloth diapering is seriously my hobby, it's so fun! I just bought reusable shopping bags about 6 months ago and I'm so excited about all the plastic we're not using! We cloth diaper and use cloth wipes! I think the thing that we do that makes the biggest difference is cloth diapering. We recycle as much as we can and we cloth diaper! Still learning how to reduce our carbon footprint, but steps in the right direction! One green thing our family does? We cloth diaper our daughter and plan to cloth diaper our baby boy due in july. We use recycled bags for shopping, recycle, and will start cloth diapering here shortly! We have solar water heater. We currently recycle walmart bags for other uses. So excited for this giveaway~One green thing my family does is that cloth diaper :) recycle :) and we car pool with our neighbors (military so we work in the same areas). We have trouble with the elites not be absorbent enough. I like them, but I don't use them for naps and I have to remember to change them more often. We recycle and have been switching to organic products. I hope to use cloth diapers, but for now, we recycle. We Recycle all that we can and use reusable shopper totes! We recycle, use reusable bags, use reusable utensils outside of the house, buy at thrift stores, and use reusable cups. We use powerbars that are turned off overnight. I use natural laundry detergent, mama cloth and cloth napkins/paper towels! One green thing our family does is we currently trying out a homemade laundry detergent for our everyday clothes. So far works great but we are still in the trial phase. We recycle, we will be breast feeding, we will be cloth diapering, we use all energy star appliances and we bought a hybrid! We use cloth shopping bags and recycle. When we finally get pregnant we will be using cloth diapers and wipes. Other than cloth diapering, another GREEN thing we do is make all of our own all natural and environmentally friendly cleaning products. we use cloth wipes for all of our children not just the one in diapers. We recycle more than we throw away, and we have used cloth diapers. We cloth diaper, recycle and buy used! We reuse all plastic bags, recycle! This diaper is so cool! I would love to try it out! I make my own laundry soap! My hubby carpools to work. We Recycle. Looking forward to more diaper reviews! Now that we use cloth diapers, we've decided we might as well switch to using cloth paper towels for cleanup around the house too! We can just wash them all together. We recycle, we compost, we will be using cloth diapers and wipes for our child and all future children, we clean without chemicals, we use cloth shopping bags for our groceries, we eat organic as much as possible and keep a pesticide free garden in the summer. We reuse our plastic bags! We use cloth grocery bags and hope to cloth diaper a little one in the future! Cloth Diapers, re-usable grocery bags and no plastic water bottles! we find new uses for many things. We have been pinspired to use old things in a new way, as storage, gifts etc. Green cleaning, cloth shopping bags and composting! The main green thing we do is cloth diaper...but we try to do as much as we can in other areas of our life. i make my own laundry detergent and cleaning supplies. The biggest thing we do is cloth diaper. We recycle, buy local and try to do many other things as well! my family saves water by taking quick showers instead of baths.We turn off all lights we are not using.we recycle,and try to reuse as much as we can.Also are planning to use cloth diapers and reusable pads too. The greenest thing we do as a family is cloth diaper for sure! We are expecting our 7th baby the first week in June and have cloth diapered them all! We recycle like crazy in our house. We have our 3 bins outside and make weekly trips to the recycling center that is 2 blocks from our house! We recycle and I am looking into clothe diapering our next child. We recycle EVERYTHING! And I take a reusable water bottle to work. We have been cloth diapering since our LO was 2 weeks old (20 months and counting). With #2 due in the next couple of weeks - we plan on starting from day one! We use natural cleaners and recycle and try to buy organic as much as possible. We are cloth diapering and are trying to figure out how to run the washing machine water out to the yard to make it green. Everything is dying :( we are under STRICT water restrictions this summer thanks to drought in Texas. We use cloth diapers and I think breastfeeding should be considered "green" no formula cans to throw away, fewer bottles to wash etc. love cding with baby #2. Love the freetime diaper as well! cloth diaper, reusable pee pads for dogs, compost, etc etc. :) thanks for the giveaway! And one green thing we do is use natural cleaners such as vinegar. Our family recycles cans, and we plan to cloth diaper. We grocery shop from CSAs, Co-Ops, and Fair Trade/Organic stores. We use cloth diapers, recycle, use reusable grocery bags. We cloth diaper, use cloth wipes, and make our own baby food. We recycle paper, glass and plastic bottles. We are a green family because we use cloth diapers and cloth nursing pads. we recycle all cardboard,bottles,cans,glass. use energy saving lightbulbs and i make my own baby food. we also grow our own vegetables. We compost and use cloth diapers! We also have a garden and I make my own weed and insect killer! At our house we do several green things, we recycle far more than we throw out, we are very conscious about conserving energy by turning lights and water off, and we also have a garden and are in the process of creating a rain barrel collection system! We use cloth diapers and wipes, compost and recycle. I try and use "green" cleaning products, or just vinegar and baking soda! I also try and buy some of my daughters clothes at consignment stores! New to cloth diapers. Can't Wait to make the change! We compost and recycle and soon cloth diaper! looking forward to using cloth with our next baby. We recycle and want to start cloth diapering with our second! love the giveaway!! hey girls! We try to do lots of green things, but my favorite 'green' friendly thing we do would definitely be hands down cloth diaper. I love buying all the cute fluff! We recycle as much as possible! Right now, we mainly just recycle and use containers vs. ziplock baggies. Am planning to cloth diaper though. We plan on cloth diapering! we are going to be using cloth diapers!!! love the giveaway..
We compost and recycle, and as soon as I kick infertility's a** we will cloth diaper. We always try and reuse things if we can! We recycle and most of the time we cloth diaper. I'm planning on Cloth Diapering my baby girl! So excited for her arrival in Aug!! Ahem, well we cloth diaper! We CD, have a garden, recycle, reuse products. We wash in cold water and cloth diaper. Cloth Diapering for sure. I am new at it and having some issues but we are trying to get the hang if it.